Really enjoyed this article on the paleo diet. I honestly don’t think I could do it, but would love to ease into it. Received new goodies from Southern Belle Glitz. This online shop has the cutest jewelry at pretty awesome prices. Watched Safe Haven more times than I’d like to admit. We also saw The Internship last night at the Cinebarre. It was hilarious! 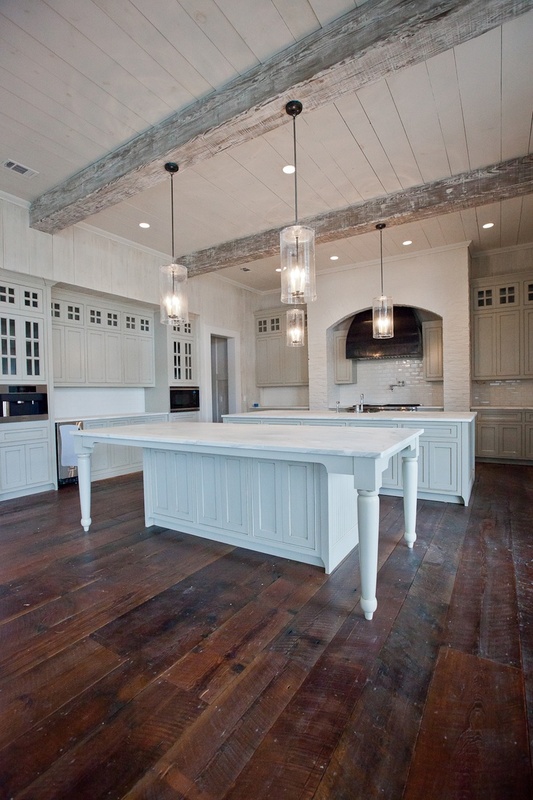 Swooned over the bones of this kitchen in the works. Those beams! I would kill to see the rest of the house. Pondered a new hair cut, but will probably chicken out. 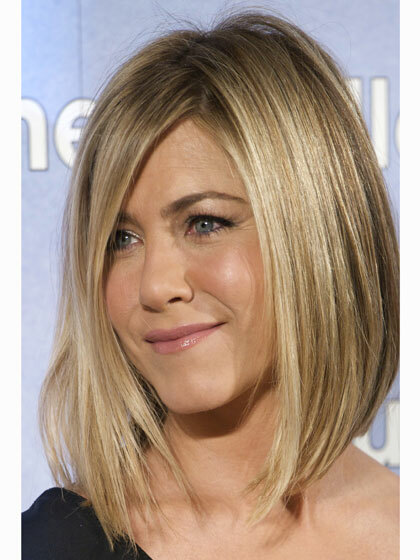 I see my stylist on Tuesday and am thinking about a cut like this, but just a little longer. I had it that way 2yrs ago and thought it was a nice change. Enjoyed this SATC Fashion Flashback. Made roasted tomato bisque. So, so good. I made this soup just for two -strictly because I only had four tomatoes on hand and didn’t feel like going to the store. It was a perfect amount, although I wish I would have made more for leftovers. Here’s the recipe. By the way, when I cook, I don’t really go by measurements, so I will share this the best that I can. Chop up tomatoes, onion, garlic, and basil leaves and lay it all on a baking sheet. Drizzle olive oil over the top. Add salt ,pepper, and herbs de provence. Bake for 25 minutes or so at 325 degrees F. You want to make sure the tomatoes are shriveled up, but not dry. After removing from oven, put this mixture in a blender and blend until the soup is at the consistency that you desire. Pour the tomato mixture into a pot and put on the stove at low to medium heat. Add two bay leaves. Pour in about a half cup of the chicken broth and a half cup of heavy cream. Stir that in and add more if desired. You really have to play the tasting game to decide. I also added in a tablespoon of butter and a teaspoon or two of lemon juice. Add more spices to taste (herbs de provence, seasoned salt, kosher salt, and pepper). Basically, just add a little at a time, taste, and repeat! I’m not much of a tomato soup gal, but I’m telling you… it’s GOOD. We have a friend coming into town to stay with us this weekend. I foresee a trip to the farmer’s market, a couple boat rides (& an afternoon spent at Morris Island), sleeping in just enough, and some shopping on King Street. P.S. Did you hear that Kimye named their baby North West? What is happening with the world? I think we are going to go see The Internship this weekend! I'm super excited to see it! I'm heading over to read the article on the paleo diet now. If you enjoyed that one, you might enjoy this one written by a fantastic writer for NY Mag. It's about the Gwyneth Paltrow diet. Not only is it interesting, it's hilarious! Oh you knowwww I'm all about that hair cut. I think you'd be pleasantly surprised. And you know it'll grow out. : ) TRY IT!! I love having shortish hair, especially in the summer. Plus, that's long enough that you can still style it and pull it up in a ponytail (a requirement for me). I am a fan of the paleo diet. I don't follow it exactly, but I recently gave up dairy and oh man…it's great. It's so much easier than I thought it would be too. LOVE the natural wood beams in that kitchen! We are doing something similar for a client's family room. We're making her wood beams match her kitchen island for a rustic, beachy vibe. I always considering chopping my hair come summertime and then I insta regret it! But that could be just me 🙂 And yes North West…so ridiculous!! Happy Friday! I've been doing the clean eating on & off for nearly a year and I can definitely see the difference -whenever I stick to it (and as everyone, I slip too), I notice I have more energy, I'm more alert and feeling more positive. Not sure I could cut out the dairy completely, like in the Paleo diet – I love my yoghurt and latte too much!